Approximately 1,000 wells within the McMullin Area GSA have been matched with a well completion report as a part of the well canvass effort. Some of these wells may be included in the GSA’s monitoring network; a SGMA requirement, the well monitoring network will collect data that informs sustainability progress. The monitoring network density for MAGSA is about two wells per township/range. Wells must be accompanied by a well completion report to be included in the official monitoring network. A well completion report includes construction information including depth and perforated intervals, among other specifications. The GSA’s technical consultants successfully obtained matched reports for the wells within the GSA’s boundary (pictured below, click to enlarge). 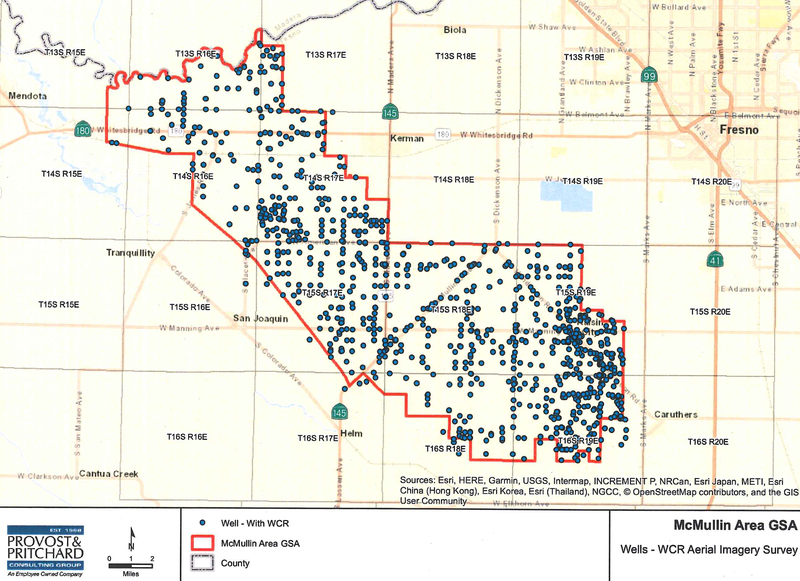 Groundwater levels measured by wells in the network will be a key data component for monitoring sustainability goals in the McMullin Area GSA; the data is an important metric for the McMullin Area GSA to measure impacts of future projects and management actions on groundwater levels within the agency boundary.